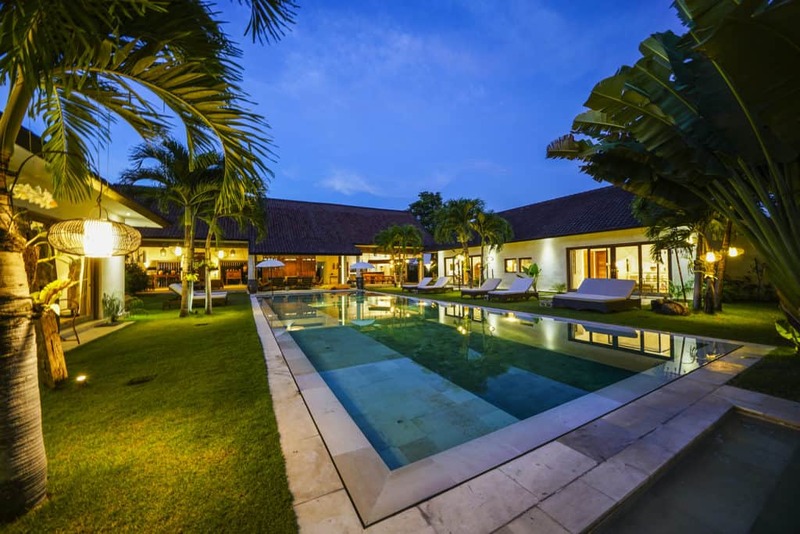 Want to have your own private luxury villa in Seminyak? Are you in need of 4, 5 or 6 bedrooms and a very large family-friendly swimming pool? You have come to the right place! 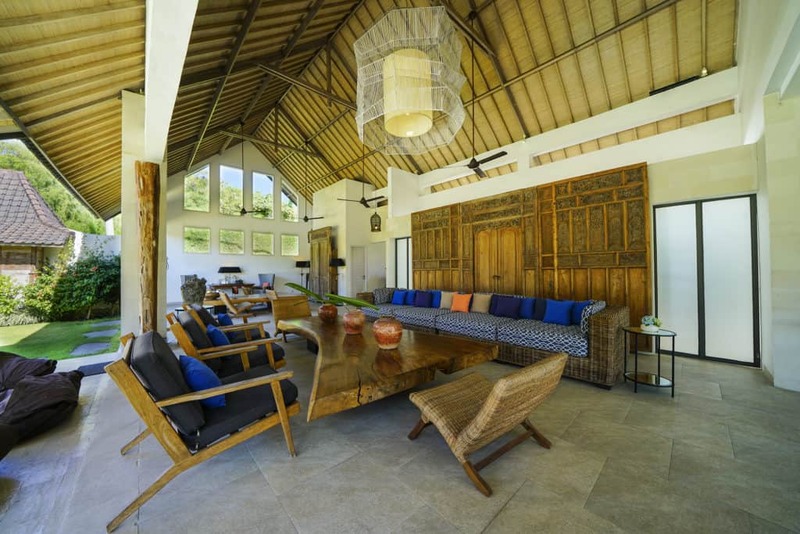 Villa Iluh is designed for families and large travelling groups. The villa features a big garden, an impressive 16 x 6-meter swimming pool and it’s got rice paddy views, too. A natural rice paddy breeze flows inside the lofty open-plan living space, keeping it nice and cool throughout the day. 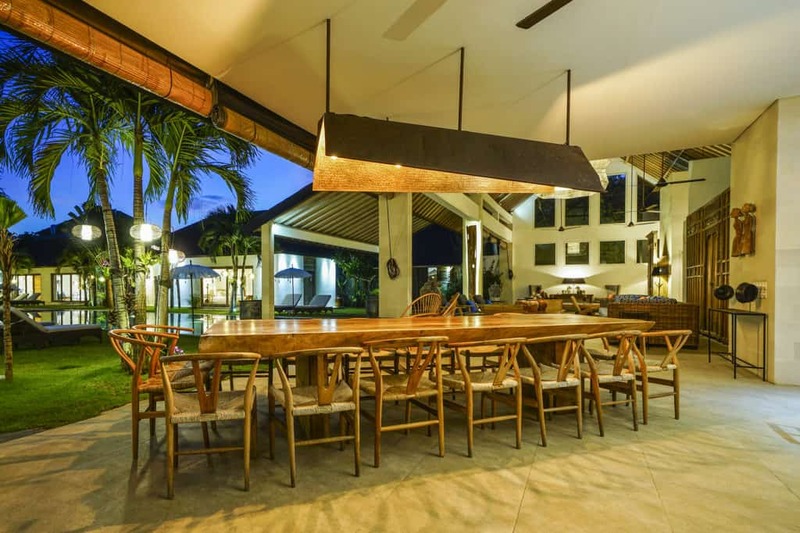 Villa Iluh is furnished with elegant Balinese antiques and art but it also boasts modern entertainment facilities such as the HD LED TV and state-of-the-art sound system. Villa Iluh is a large 6-bedroom villa and 2 of the bedrooms are wheelchair-friendly. Go and plunge straight into the stunning swimming pool! You can swim laps and the kids can play in the shallow area of the pool, shaded by traditional Balinese ‘Payung’ parasols. Villa Iluh features a unique authentic Javanese ‘Gladak’ house. This antique bungalow is crafted out of teak wood and it is very rustic and beautiful to see! Then, for the rice-paddy-view-addicts among us, the upstairs bedrooms at Villa Iluh boasts magnificent views of the surrounding rice fields. Note: when renting 4 or 5 bedrooms, the villa remains fully private, we simply lock the access to the remaining bedroom(s). Abaca Villas is such a wonderful and peaceful place. We stayed in Villa Iluh: amenities and service are the best, better than in a 5 star hotel. Huge crush for the giant pool! Thank you, we will be back. I loved my stay in Abaca!! I rented Villa Iluh, and that house is so beautiful and peaceful. It’s so easy to relax there with that beautiful pool and the rice paddies surrounding. Which is incredible considering the location. The service was great too, everyone working there is incredibly nice and very helpful, AND the food is to die for. I had a delightful stay! I would certainly come back to Abaca, and I strongly recommend to anyone!